This week the angels would like us to focus on raising our energy and rising above. It’s easy to get caught up in the negativity that’s so prevalent in our daily lives. The angels would like us to notice when that starts to happen, and then shift our awareness to something else, redirecting our thoughts. It may be as simple as calling on the angels or finding a word or phrase that you connect with that clicks when you say it. For me the phrase is shift girlfriend. If you are clairsentient, or empathic you may tend to be like a sponge, sensitive to the feelings of others and absorbing/carrying around the emotions or feelings of others, (both living and deceased). Sensitive people may think it’s their negativity they’re experiencing when in fact it belongs to someone or something else. You are always in charge of your energetic and physical space and learning how to use your gifts is your best tool. Here’s some of the ways that I keep tabs on my energy; 1) I start and end my day asking Archangel Michael for his protection against any negative energy or entities both seen or unseen 2) When I find myself going down the negativity rabbit hole I tell myself shift girlfriend, 3) I limit negative sources of input including the news, and negative social media post and 4) I do Reiki on myself on a regular basis. Archangel Zadkiel is the Archangel of Transmutation his color is violet, and his gemstone is a light amethyst or violet sapphire. His affirmation is, “I embrace love and love is all there is.” Archangel Zadkiel can be one of your best allies when dealing with or getting rid of negative emotions and energies. Transmutation is, “the action of changing or the state of being changed into another form. If you’d like to release any negative energy or emotions, please visit my website and listen to the Archangel Zadkiel meditation. Have a great week everyone, I’m sending you good vibes. 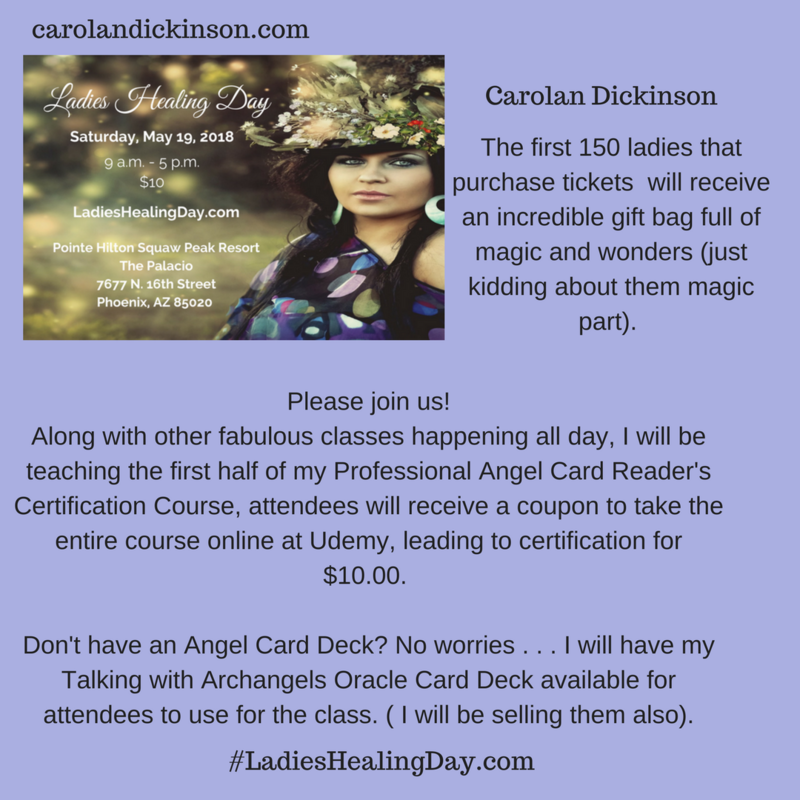 Ladies Healing Day is Saturday, May 19th, please visit Ladies Healing Day.com for more information and to purchase your tickets. 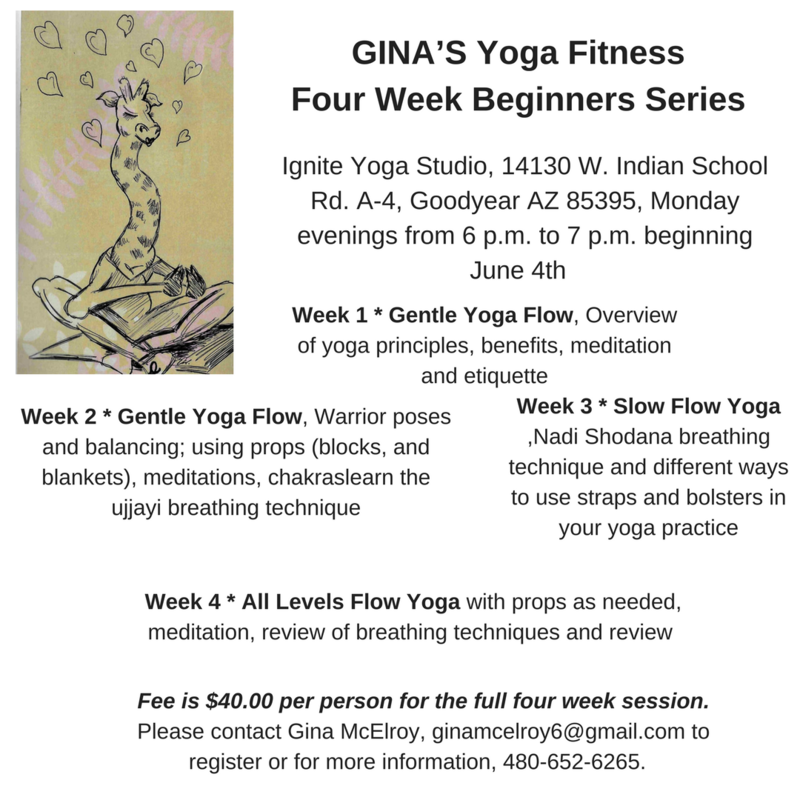 Interested in trying Yoga? Here’s a great opportunity without any long term commitment and in a small group that will offer individual attention. Next PostMay 14th through May 20th, It’s All About Energy!